Chicago, Ill., and Denver, Colo., will soon be even more accessible as Frontier Airlines brings it non-stop service to these destinations from Valley International Airport. Regional officials and business leaders celebrated the announcement Aug. 28 with an official press conference. Here, Frontier confirmed the non-stop services will begin in November. 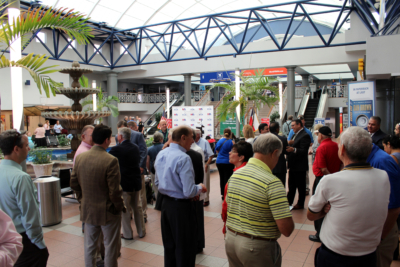 The addition of flights to Harlingen represents the 100th city in the airline’s network. More than 150 people gather to hear the Frontier Airlines announcement at Valley International Airport. Frontier is currently offering a special introductory, one-way fare of $49 to each city at flyfrontier.com through today. Service to Chicago O’Hare will be on Wednesdays and Saturdays, while Denver service is available on Tuesdays, Thursdays and Saturdays. More than 150 were in attendance, with a consensus of the addition of the airline being a win for all of South Texas. 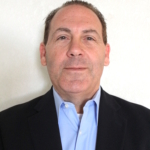 VIA Aviation Director Marv Esterly added Frontier expanding in the Valley is vital. Frontier Airlines is the fifth U.S. airline to service the Valley with Delta, Southwest, Sun Country and United. For more photos from the press conference, visit Valley Business Report’s photo gallery.